Cherry Built-In Cabinetry - MITRE CONTRACTING, INC. Fill out our CONTACT FORM for your free quote on your new built-ins and bookcases! In this blog we are featuring a few pictures of some custom made cherry built-in cabinets we just completed for a customer in McLean, Virginia. We made these to match the owners kitchen cabinetry, the cherry wood species, the color stain and finish, and the overlay flat panel doors. Please call us anytime 703-330-3486, or email us, and let us provide you with a free in home consultation and free no obligation price quote for your next home improvement project. 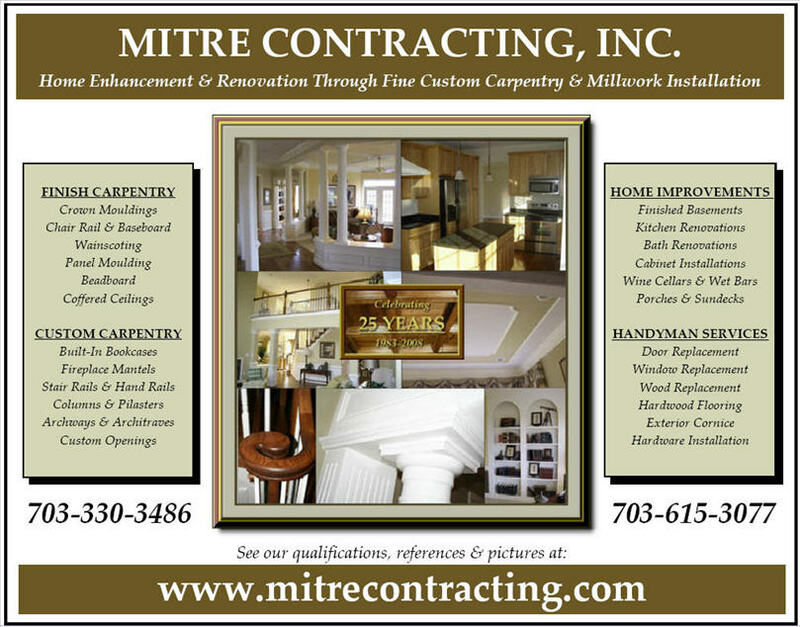 We service the entire Northern Virginia area and all the surrounding counties.